When the information about a ball with a hollow metal core rather than the usual rubber-type material used in the core by other makers came across my desk, my reaction was less than awe-struck. However late last year when the United States Golf Association, our game’s maker of rules and protector of traditions, approved the OnCore placing it on the list of conforming balls a trial seemed to be a good idea. A conversation with Steve Coulton, one of OnCore Golf’s founders, resulted in samples being sent which after four rounds and part of a fifth led me to two definite conclusions. 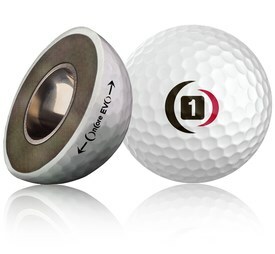 First the OnCore MA 1.0 is long—without making actual distance measurements my opinion is it may be the longest ball off the tee I have ever played…certainly in the top two or three. Secondly, the hollow metal core construction does as advertised reduce side spin which helped my tendency to hook the ball. But it also lowers the amount of backspin (one of the reasons the ball goes further I’m sure) so when it hits the green it rolls out more than you perhaps are used to experiencing with even the usual two-piece “distance” ball. As Coulton pointed out to me though a ball in flight has backspin, side spin and something I had not thought of previously, gyroscopic spin. Long with better accuracy is something most amateur golfers would like to have. The OnCore MA 1.0 ($44.99 dozen) is not a gimmick and can help them achieve that goal. For more information and to order online go to OnCoreGolf.com.